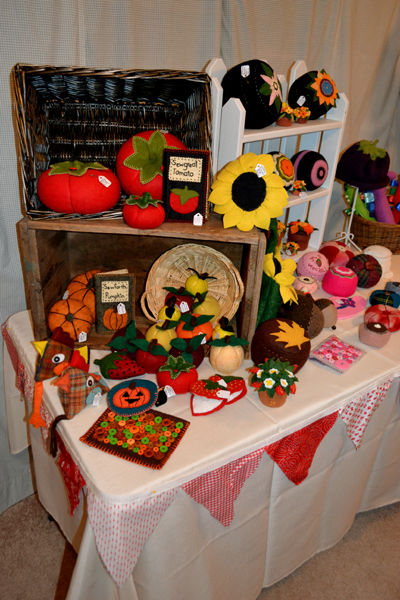 Little House Home Arts: Little House at Vermont Farmer's Fall Holiday Fair this Saturday, November 12th, 2016! 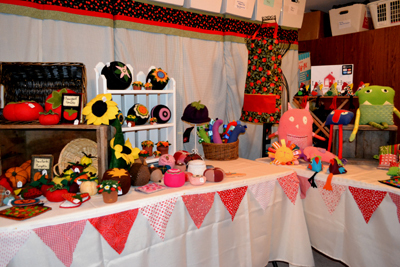 Little House at Vermont Farmer's Fall Holiday Fair this Saturday, November 12th, 2016! Little House will be at Vermont Farmer's Fall Holiday Fair Saturday, at the Holiday Inn in Rutland, Vermont, November 12th, 9:00 a.m. to 4:00 p.m. We will be joining many artisans and hope to see you there! 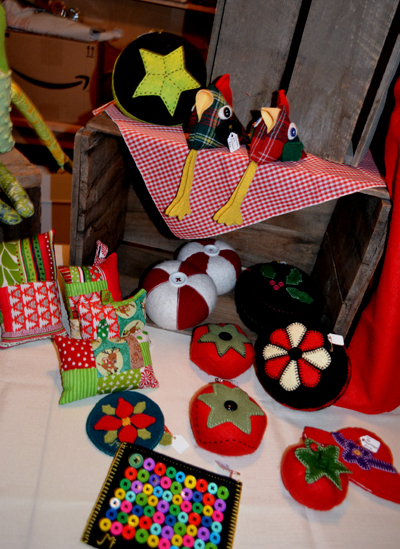 Here is a preview of some of our wares. Not pictured are our very popular fleece socks. 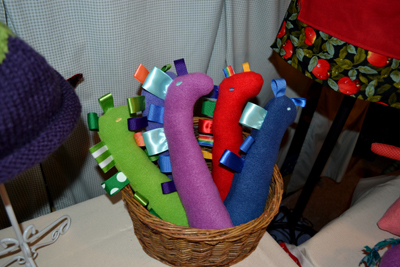 They are come in all sizes, colors and patterned fabrics (300+ pairs)! Hope to see you there! Pre set-up before the sale. Empty spot will be a stack of Hannah's aprons. 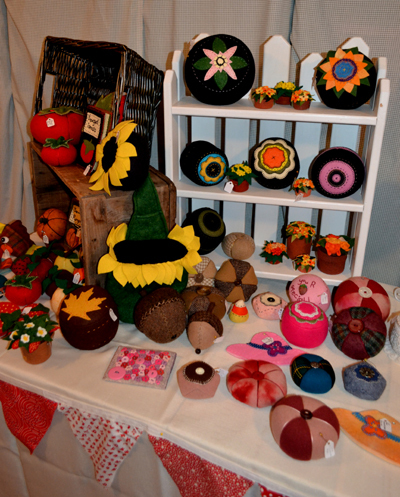 A sampling of my pincushions and other wool items. No one can say that our booth isn't colorful! Hannah's little giraffe stuffed toys for babies. 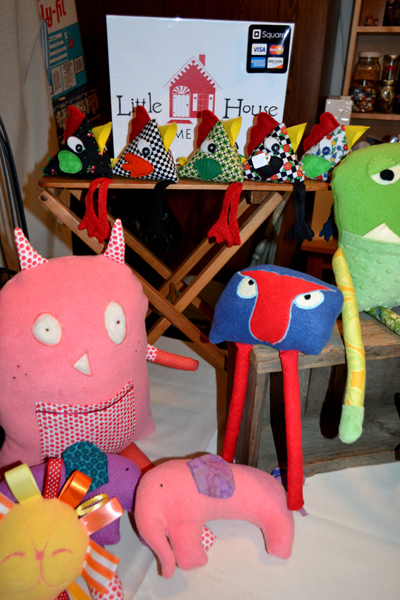 We love whimsical items...They make us smile! Christmas gifts. Not shown are patchwork Christmas stockings. Hannah's fun display! 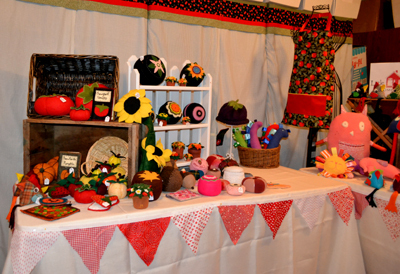 Spaces to be filled with aprons and finger puppets! 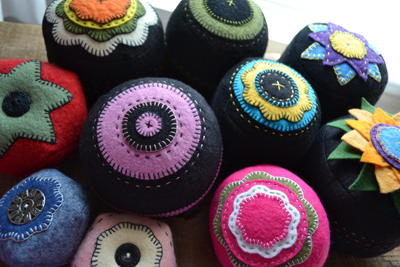 New 2-toned felted wool pincushions stuffed with crushed walnut shell filling. 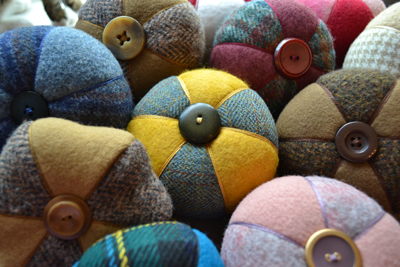 New Penny-rug-style felted wool pincushions with walnut shell filling.